Now that the furor around the show has finally subsided a bit, it’s time to take a look at who most people don’t realize is low-key the other/real winner of Big Brother Naija. A lot has been said on and offline, about the housemates and the way they played the game. In my opinion, the show is, among many things, one big social experiment on human behavior – it reveals who we are, and I’m not just talking about the contestants. Viewers themselves get so engrossed in the sheer spectacle of it all, and the drama between fans online (twitter, blogs, etc) actually rivals what is going on inside the house. People end up hurling so many insults at each other, all in the name of supporting one contestant over another, that it is reminiscent of the tumultuous Nigerian political terrain during election season. This year’s winner, Miracle, walked away with a prize package worth a whooping N45 million – but that amount pales in comparison to the insane revenue generated by the machinery of the show – with sponsorships from Pay Porte, Heritage Bank, MiniMee, Pepsi, and Dano Milk, among others. The exact sponsorship figures are never released, but it’s safe to assume that the Organizers of the show were swimming in profits even before they ever shot scene 1 on Day 1. And then there’s the “small” matter of the profits generated by fan voting – a significant number of the 170 million total votes recorded came from SMS votes; exactly how many, we’ll never know, but it’s clear to everyone that this reality TV show is a money making machine. So while we are all squabbling back and forth, the Organizers are the real winners here, smiling to the bank at the end of every season. With that being said, most people don’t realize that outside of the Organizers, and the contestant who emerges victorious, there is yet ANOTHER winner from the reality show every season, and he goes by the name of Ebuka Obi-Uchendu. Ebuka actually got his start in Entertainment from the very same platform – he was a contestant on the very first season of the show in 2006. It’s worth noting that although he garnered a decent number of fans in his time as a contestant, he was by no means a favorite. He didn’t win. He didn’t come 2nd, 3rd, 4th, 5th, or 6th. Ebuka finished in 8th place. 8th!!! I don’t even remember who came in 8th this year, and I suspect neither would most people. Somehow, Ebuka has parlayed his brief stint on the show into major superstardom; I daresay he is probably, at this point, the most successful and most relevant Big Brother Naija contestant, ever. It’s ironic that as a contestant he didn’t even crack the top 5, and yet here he is – a brilliant example of how to play the cards you’re dealt. What most reality TV contestants don’t realize, is that winning or losing on such a platform, means very little in the long run. The truth is that winning the prize money, is kind of like winning the lottery – problem being, 70% of lottery winners end up going broke and filing for bankruptcy. And that’s just the winners. Most of the contestants on the show are so focused on winning, that they don’t realize that you can win in the game and lose in life. Not Ebuka. Mr. Obi Uchendu has become so successful in multiple areas that it’s getting hard to keep track of his accomplishments. He’s the definition of dreaming big but starting small – immediately after his brief stint as a BBNaija contestant, he started his career with a little known TV show on NTA called “Friend or Foe”. One suspects that most contestants today would see that as beneath them, but Ebuka went there to learn from scratch. He went on to become a certified lawyer, having graduated from the Nigerian Law School in Abuja, as well as earning a Masters of Law from the American University in Washington DC. He also became an accomplished writer that has been published regularly in Newspapers such as ThisDay. 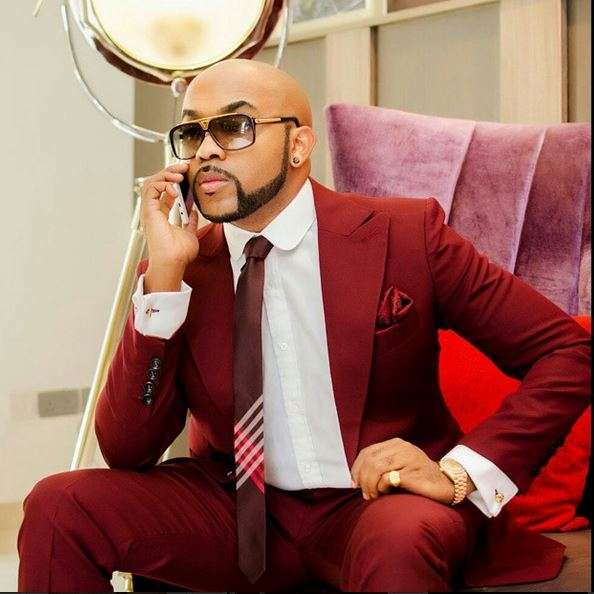 He’s received and won numerous awards, including the award for Outstanding TV Presenter of the year at the Nigerian Broadcasters Merit awards for his stellar work on “Rubbin’ Minds”, a weekly show on Channels TV that showcases Ebuka as one of the most astute, intellectually sound, and charismatic Presenters of our time. He does an impressive job anchoring the “Men’s Corner” show on EbonyLife, the same way he did on “The Spot”. As an On-Air Personality, he has no limits and no “comfort zone” – he’s just as comfortable talking to Presidential candidates as he is discussing sports, celebrity lifestyle, fashion and everything in between. And let’s take a minute to discuss Fashion. At this point, I believe it’s fair to say that Ebuka is unarguably the best dressed Man in Nigeria, and possibly Africa. When you think of TV show hosts, even the extremely accomplished ones like American Idol’s Ryan Seacrest… you never really notice their style. They tend to blend in to the show and become a part of the fabric; Ebuka, on the other hand, doesn’t blend in, and doesn’t just stand out… he SHINES. 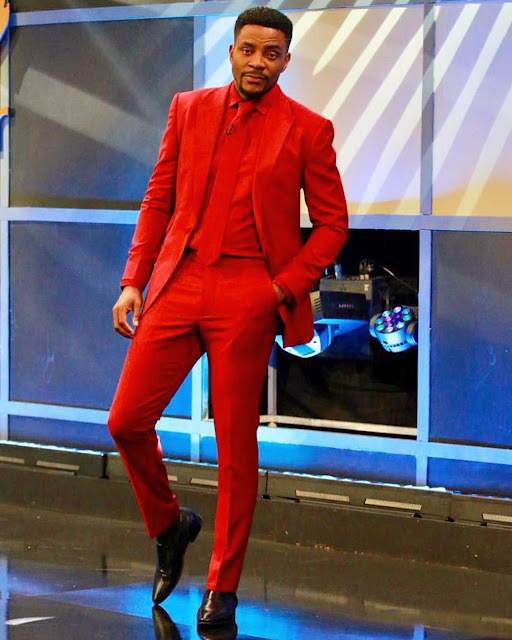 He has completely shattered the TV presenter mould; viewers look forward to the weekly Sunday Eviction shows to see who was getting kicked out, but ALSO just to see what Ebuka wore. He turned Sunday nights into his very own personal fashion show. His outfits trended online as much as the contestants did. In a business where stylists have to beg, plead, sweet talk and cajole designers into lending their clothes for use in productions, Ebuka turned the table upside down. Designers are instead the ones scrambling to get him to wear their pieces. This is because he has a singular transformative immediate and long lasting impact on their market. Case in point: Circa “#BAAD2017”, Designer Ugo Monye had less than 4k followers, and was reportedly charging an at-best modest amount for a very innovative take on the “Agbada”; he had infact displayed that style of Agbada for over 6 months, with very little fanfare or success. And then Ebuka wore it. What happened next is astonishing: the designer’s followers got up to 30k in the first 24 hours, and now sits north of 75,000. The same could be said about his revenue. That Agbada style was sold for N50,000 prior to Ebuka wearing it. And now? The very same Agbada will require you to shell out $1,000 USD. I call that “The Ebuka Effect”. The power of Ebuka’s brand has never been stronger, and it’s evident in how Corporate Nigeria is lining up to partner with him. Recently, Ebuka (now under EME management) inked a major endorsement deal with a global beverage giant, alongside Adesua Etomi-Wellington. In addition, he’s the new brand Ambassador for Pork Money (a company that caters to the Pig Farming Business), as well as the real estate company Mannor Gates. He also works as an influencer for Samsung Mobile, and Budweiser beer. And that’s just the beginning, as he’s also in talks to float a virtual clothing store with a major Nigerian Online retailer, alongside multiple other business ventures and deals-in-the-works. As at the time of this article, he has almost a million followers on Instagram, and over 500k on twitter – I’m almost certain that is significantly higher than almost every other contestant in the history of the BBNaija show in Nigeria. Ebuka’s story is a golden lesson in playing the cards you’re dealt, to maximize your potential and platform. He’s showing no signs of slowing down anytime soon, and we’re all excited to see where he will end up. The wide spectrum of options that are available to him is staggering and impressive, and we are all here for it. You could just as easily envision him as the Editor of GQ Magazine in Africa as you could envision him in political office. For the majority of Big Brother Naija Contestants, the show represents the peak of their stardom and relevance. Ebuka has shown that it really should only be the beginning. A great man once said “it isn’t so much about winning and losing, but how you play the game”. Well, no-one in the history of reality television in Africa, has played the game as well as Ebuka Obi-Uchendu.